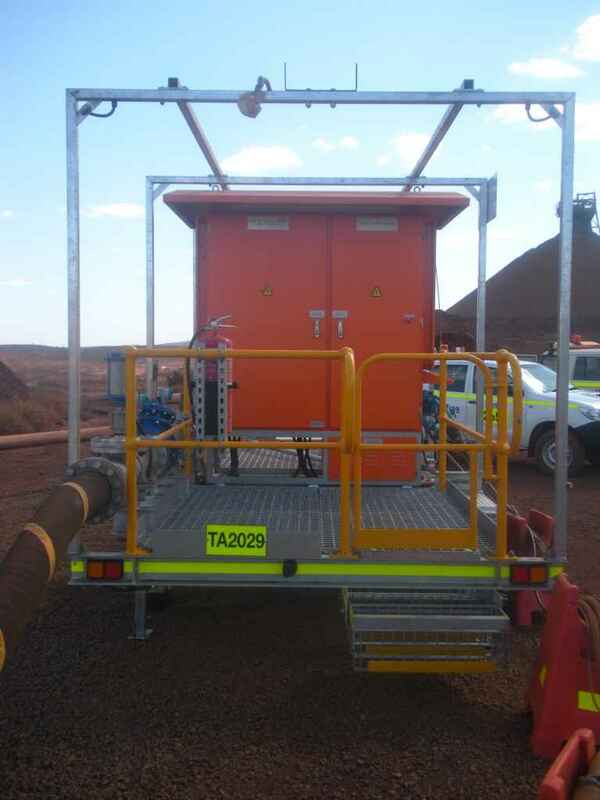 Petro Min Engineers have performed the detailed design for many various options of trailer mounted dewatering bore headworks and pump starters. 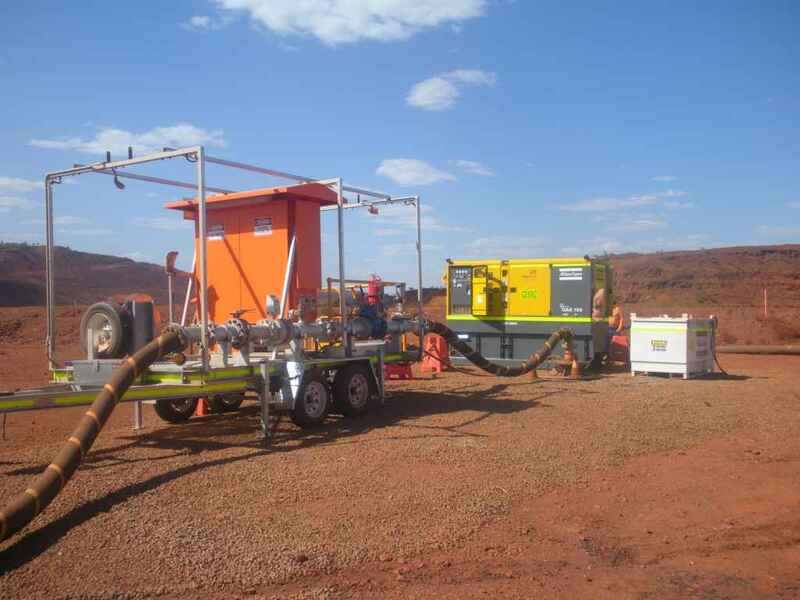 Pictured is a trailer mounted dewatering pump starter built for a progressive open pit operation on the surface of the pit surround. A more robust version is available for in pit bores with protection for fly rock and falling objects. These design can be tied into radio based SCADA system or wireless ethernet systems for remote control, monitoring and data acquisition.